From extolled entertainers to seminal songwriters and timeless voices, the contributions of women to popular music are undeniable. But as you dive into its history, those female-led efforts become harder to find. 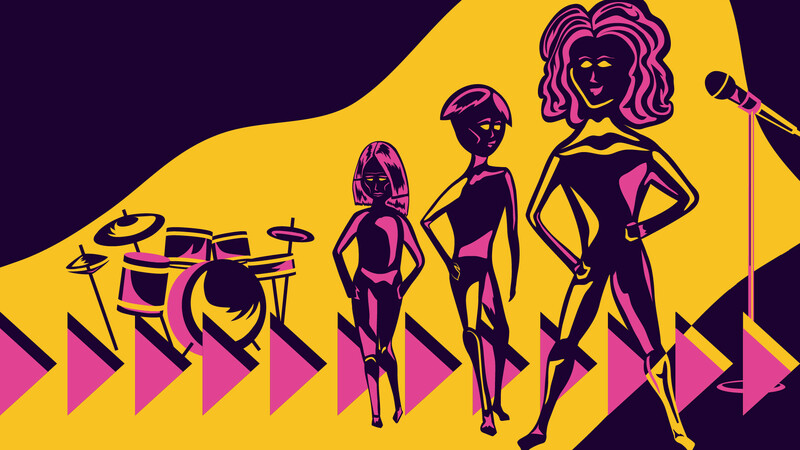 Rarely are women, transgender and gender-diverse people counted among the endless lists of music’s greatest instrumentalists, bands, songwriters and producers — and when they are, they’re often treated as exceptions to the rule. As a way to correct this oversight, NPR launched a female-focused series last summer called Turning the Tables. It compiled a list of the 150 greatest albums made by women from 1964 to the present, and spawned a conversation on how women in music have been and continue to be viewed. With Turning the Tables: KC Edition, we hope to continue that conversation by highlighting the historical and ongoing achievements of indie and folk female music professionals in Kansas City — from musicians to promoters and business owners — and capturing their experiences working in a traditionally male-dominated industry. We’re kicking off this series by asking you to think about some of your favorite contributions from Kansas City acts. We’re compiling a list of influential female musicians, vocalists and bands, from the forebears of the area’s music scene to those who are shaping it today. You can comment with this form, tweet at us @909theBridge, and email at digital[at]bridge909.org. Along with your choice, we’d love your comments on why this artist remains significant to you. Follow the series here at bridge909.org on Thursdays throughout the month of July. Next week, we’ll take a look at gender representation in Kansas City’s music scene over the past few decades. After that, join us for a deeper dive into the inequalities faced by women in music. On the last Thursday — July 26 — we’ll publish a list of your favorite KC musicians, along with a Spotify playlist of some of their contributions. Throughout it all, we’ll be talking about how we can start a new conversation about moving forward, starting right here in Kansas City. — Michelle Bacon writes about music for 90.9 The Bridge and plays bass and drums in bands. Follow her on Instagram or Twitter at @michelleobacon. On Wednesday, July 25, join 90.9 The Bridge at Mills Record Company at 4045 Broadway Blvd. for Turning the Tables: KC Showcase, a panel and showcase of women in music. Join us for lively and open discussions around gender, equality and the future of KC music, featuring live performances from Katy Guillen & the Girls and Hi-Lux. The showcase is free and open to the public, but please register in advance.